With a revolver, reloads are slow. Unless you are one of a handful of very skilled wheel gunners, a reload, even with a speedloader, is usually a 4 second affair. That is a long time, especially compared to the easily attainable 2.5 second reload on a bottom feeder semi auto. I fully understand that reloads in a self-defense shooting are a statistical anomaly. I also understand that we cannot predict the future, and playing the statistics game can be dangerous. 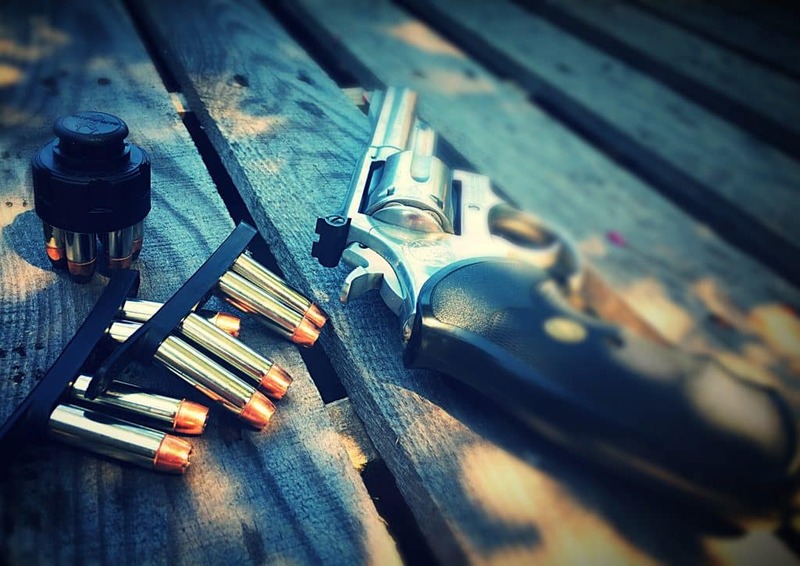 While I would not devote all of my training time to executing a reload, having a level of proficiency so that the task can be completed while under a moderate level of stress seems like a reasonable level of skill to attain. Neither is it very cost prohibitive, since reloads can be worked primarily in dry fire. Getting back to the point, by a show of hands who carries a speedloader to back up their J-frame or whatever revolver they may carry? Oh wait, that show of hands thing isn’t going to work. Odds are (there are those statistics again), that if you do carry a J-frame or something similar, you probably carry your spare ammo on a speed strip. Or maybe even loose rounds in your pocket, a 2x2x2 setup, or if you are really cool, a dump pouch. I will guess most people are not that cool and just use a speed strip. With a speed strip, even the guys who are really fast are probably taking upward of 6 seconds to fully reload the revolver. There is a lot that can happen in 6 seconds. Our bad guy can cover a considerable amount of ground. All sorts of things can happen in that amount of time. I will stay away from saying a reload should be able to be completed in a certain time frame, because I honestly don’t know that. I will say though, if we can maintain some measure of sense about what is going on around us, if we need to have near immediate outgoing fire there is no rule that says we have to have the revolver loaded back to full capacity. A revolver with one round in the cylinder is still a loaded revolver, and we can make that one round work for us if we need to. 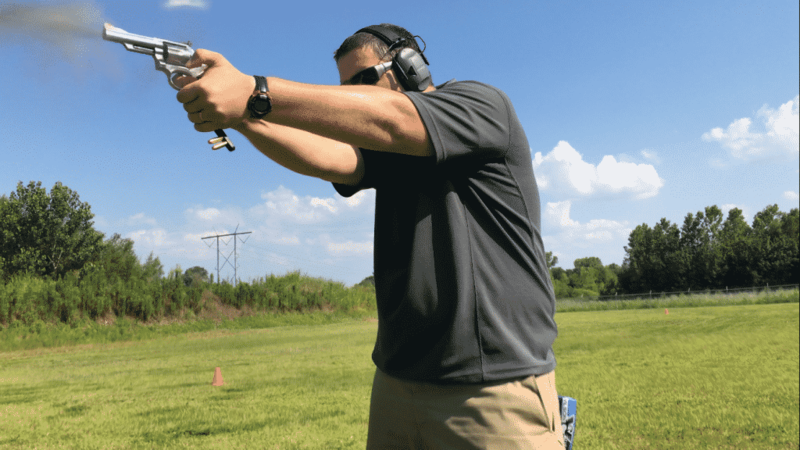 Partial reloads on the revolver not a new concept and a hard learned lesson (see Newhall Incident), but is an often overlooked concept, and rarely practiced technique. Personally, I load my speed strips with 4 rounds, even though I carry a 6 round revolver. This is because loading 4 rounds is not only faster, but perhaps more important, significantly easier than 6. This has been covered before on USA Carry, go check out Salvatore’s article Revolver Reloads: Using Speed Strips. Pretty much anytime I am putting rounds in the revolver using a speed strip, I am loading two rounds at a time. Once the two rounds are loaded, I have a decision to make. Load the next two, or roll with the 2 rounds in the gun. If I decide that I don’t have the time for two more, I don’t really want to drop the two rounds I still have on the speed strip. If things are so bad I need to reload (a problem typically caused by missing the target), I may need another two rounds just in case my lack of marksmanship causes me to need more ammo again. So instead of dropping the speed strip with 2 rounds still on it, I secure the strip between the revolver stocks and my ring and pinky finger on my dominant hand. Of course, I am loading the gun with my support hand, so guys who load in the more traditional method with their dominant hand might have to play with different methods for retaining the speed strip, but the gist will be the same, trap the strip in the regripping process, or stow the strip somewhere. If I am loading with loose rounds, which means things are going really bad, my options are a little more limited. I can drop the rounds, which as we pointed out earlier may not be the best idea, or go to work one handed while I retain the rounds in the support hand, or drop them in a pocket for future use. So how does this all break down? This about how it shakes out for me. I can reload a revolver with a speedloader out of a pocket and get 1 rounds off in 4-5 seconds. I can load two rounds from a speed strip and fire 1 round in about the same time. As long as I do not need more than two rounds, I am golden just loading 2 off the speed strip. If I have to load another two rounds after the first two that is another 4-5 seconds. If I load all 4 rounds off the speed strip at once, that takes about 6 seconds before I can get that first round off. If I need rounds to go out NOW, 2 is better than 4. If I have an additional 2-3 seconds, getting 4 in the gun is a better than 2. So why not load 6? Not only is there additional time required to get the 2 more rounds in the gun, but it also requires a fairly precise and sequential loading of all 6 rounds. With just the 4, I have 4 charge holes available to catch the second set of rounds and it requires much less precision and focus to accomplish. Ideally, when using a partial reload technique we would be able to index the cylinder when we close it so that the 2 or 4 rounds we have loaded are set up to fire with a single trigger press. However, that can be difficult to pull off when just on the range practicing, not to mention when in the middle of a fight. When loading less than six rounds (or less than 5 for the J-frame), just click through any empty charge holes as necessary to get to the live rounds. It is a trade off, but still faster than loading all 5 or 6 rounds by quite a bit in my experience. A speedloader is a better option, no doubt, but not everyone carries a speedloader all the time because of how bulky they are. If you are someone who only carries speed strips, knowing how to accomplish a partial load and understanding the reasoning behind it is a critical part of the “how to shoot a revolver” skill set. Not knowing such a thing exists and not practicing has arguably cost lives in the past. Let us not forget the lessons learned through the blood of others.